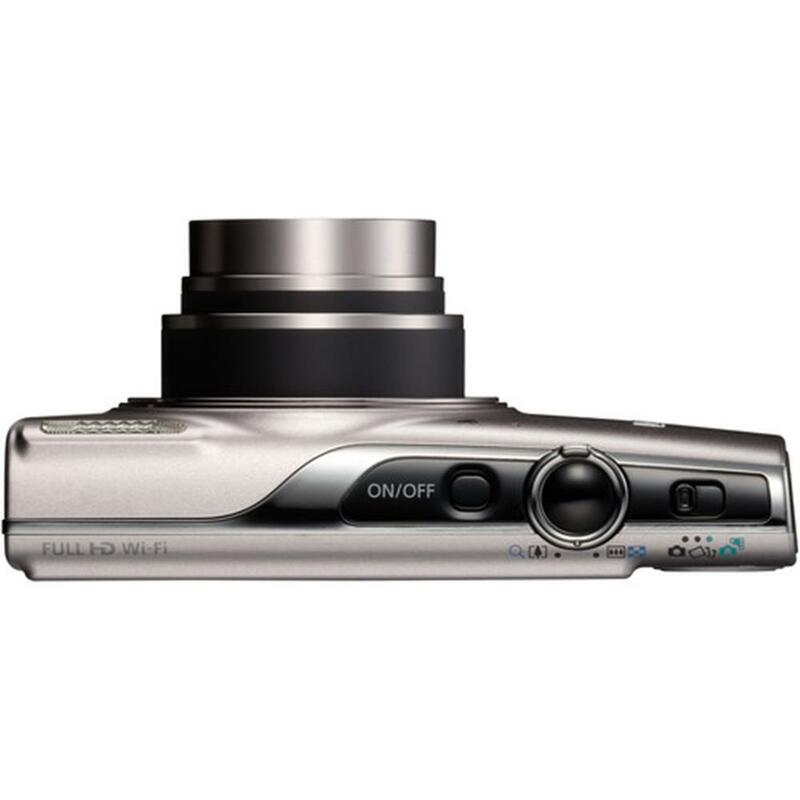 The PowerShot ELPH 360 HS camera features a 12x Optical Zoom so spectacular shots are within your reach. You'll love the flexibility it gives you when shooting with an amazing range of 25-300mm (35mm equivalent) in a slim, compact camera. Plus, the wide-angle lens captures an expansive image in each shot, adding depth, perspective and grandeur. Landscapes, city scenes, family shots and more all benefit from the extra width. Whether you're shooting wide group shots or zooming to the telephoto end, your images can be bright and clear. Built-in Wi-Fi technology helps provide on-the-go convenience when you want to share your photos and videos with friends and family. 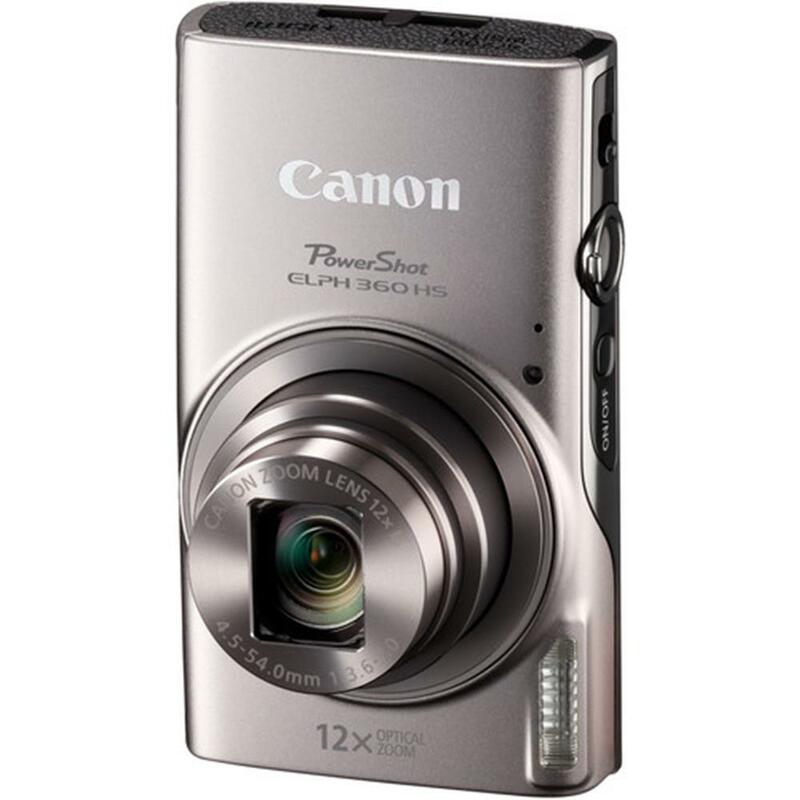 Easily post your images to social networking and media sites - Facebook, Twitter, YouTube, Flickr, and Google Drive - through CANON iMAGE GATEWAY* directly from your PowerShot ELPH 360 HS camera, or save them to the online photo album to share anytime, anywhere. The camera can also connect directly to both compatible iOS and Android devices, and upload images via the free Canon Camera Connect app without a computer. You can control the destination of your uploads to share with everyone or to select groups, and even add comments. Wi-Fi capability makes posting in real time possible, so you can keep everyone up to date with photos and video even as events unfold. Wi-Fi technology also allows you to transfer images to other Wi-Fi equipped PowerShot cameras or print your photos directly to a PictBridge (Wireless LAN) certified printer. Thanks to the newly added Wi-Fi Button, you can now connect in both Shooting mode and Playback mode for quick and easy operation. 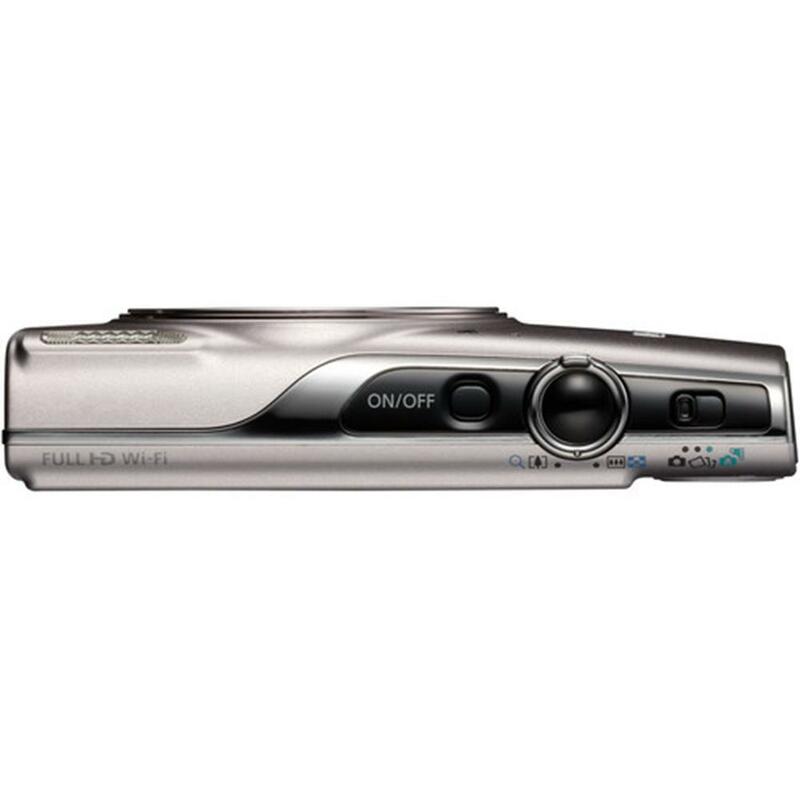 You can even turn on the camera and connect at the same time with just one press of the button, helping you get right to sharing and managing your files when you like. The PowerShot ELPH 360 HS camera supports NFC (Near Field Communication) technology for fast connectivity with a single tap. Simply touch the NFC icon on your camera to your compatible Android device, and the Canon Camera Connect app will launch automatically for quick, easy sharing of your images. Built-in NFC technology also makes it simple to install the app. If the app hasn't been installed yet, once you touch the devices together for the first time, the download screen will display automatically. With the built-in Wi-Fi on the PowerShot ELPH 360 HS camera, you can use your compatible smartphone or tablet to remotely control the camera. Simply connect wirelessly to your device and access the free Canon Camera Connect app. Your device will show a live image of the camera's capture - ideal for a commemorative group photo, wildlife shots and all kinds of situations. 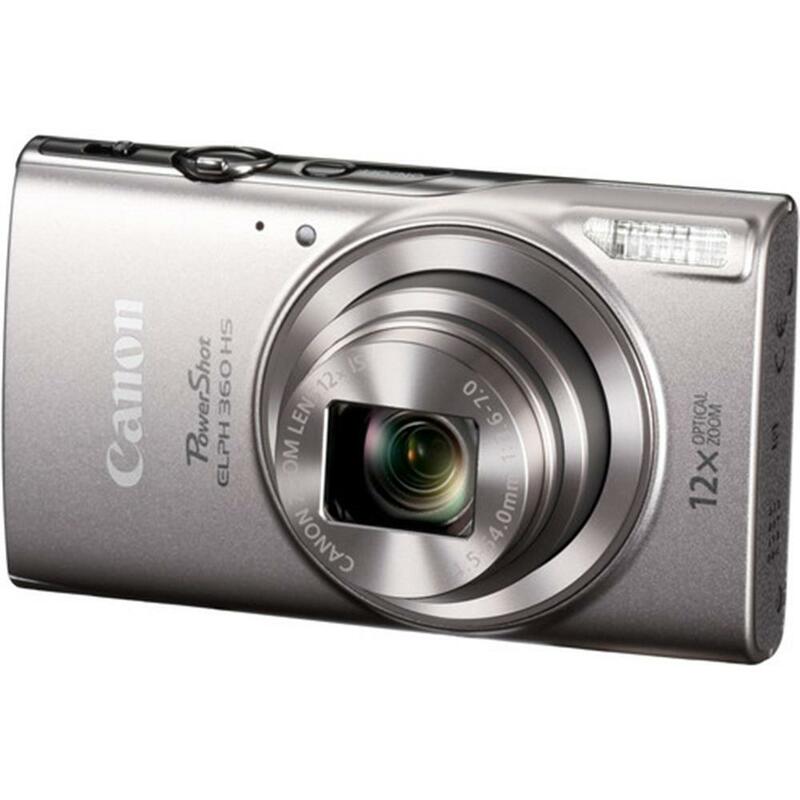 The camera's versatile 12x Optical Zoom, flash, self-timer and shutter are all under your control, with images being saved to your camera as usual. The slim, compact PowerShot ELPH 360 HS camera gives you the power to capture beautifully detailed, naturally lit images even in low light ? helping to reduce the need for flash and the occasionally unwelcome effects it produces. 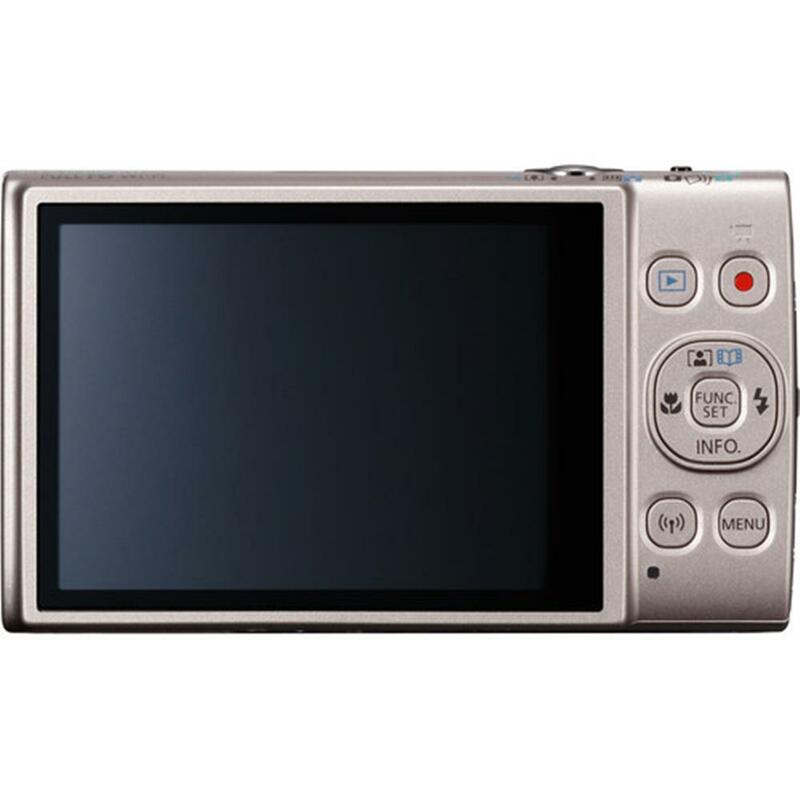 That's because the camera's 20.2 Megapixel* High-Sensitivity CMOS sensor works with the DIGIC 4+ Image Processor to create the Canon HS SYSTEM, specifically engineered for spectacular low-light performance. With the Canon HS SYSTEM, you'll experience excellent tracking performance even in low light, and achieve gorgeous still image quality at ISO speeds up to ISO 3200; beautiful low-light shots are possible with minimal noise and maximum detail in highlight and shadow areas. The PowerShot ELPH 360 HS camera features Hybrid Auto, which records up to four seconds of video every time you shoot a still image, then automatically joins the clips and pictures* into a video that captures the essence of special days: vacations, important occasions or any time you're shooting many shots in a day. With Hybrid Auto, this "highlight reel" can be stunningly beautiful. Hybrid Auto automatically recognizes the scene and optimizes camera settings to help capture incredibly high image quality. The resulting 1080p Full HD video is properly exposed, crisp and steady. * Pictures can be withheld from the resulting video via menu settings. 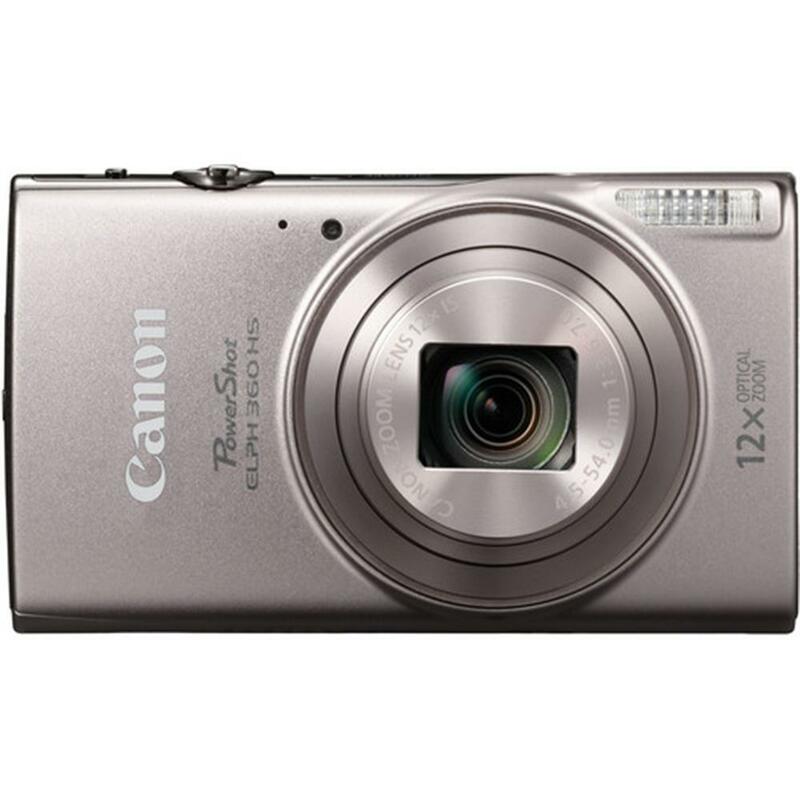 View your still images and video* as a fun short story with the Story Highlights feature on the PowerShot ELPH 360 HS camera. You can choose to have the camera make one automatically, creating a short video of approximately three minutes** according to date, event or people, or you can customize your Story Highlights reel for a fun, unique video. Story Highlights BGM lets you add background music (choose from three pre-loaded songs) to the clips that Story Highlights automatically generates for a new level of emotive expression. It's all done in camera, without the need for any additional software. Easily access and enjoy your Story Highlights - simply press the Story Highlights button to start creating your highlight album. The Story Highlights album can be saved to the camera's memory card for quick replay and also shared with the PowerShot ELPH 360 HS camera's built-in Wi-Fi. * Videos must be shot in Hybrid Auto or Short Clip. ** Length of highlight video varies according to the photos and videos added to the Story Highlights album. 15 sec. - 1/2000 sec. 2.5 to 7.2 shots / sec.